IBIS is delighted to announce the launch of the Smart-binder digital saddle-binder into the Korean market. 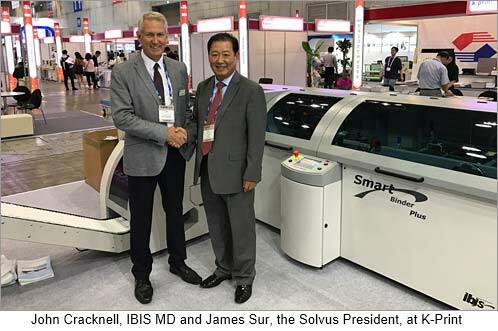 The Smart-binder was exhibited at the K-Print trade exhibition by SOLVUS our newly-appointed Korean Distributor. SOLVUS are a well established and respected supplier of print-finishing equipment, including Tecnau web cutters which are used to feed the Smart-binder from pre-printed rolls. Click HERE to view a video of the Smart-binder running at K-Print.